Joey Gulizia is a native of Omaha where he has played music professionally since the age of ten. He has worked for the Nebraska Arts Council as an artist-in-schools from 1979 to the present. In 1996 he received the Governor's Arts Award for excellence in education.' He has performed on many cruise ships and traveled extensively. He can be heard on jingles for TV and radio and for many CDs. 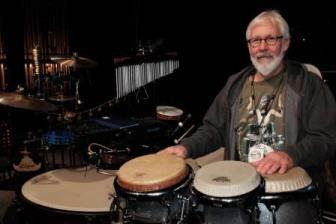 Residency activities can include a trip around-the-world with various percussion instruments, a look into the field of computer music, and a history of jazz. Activities can work with students of all ages.